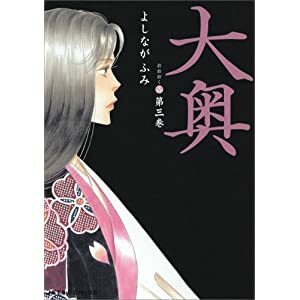 In the final installment of my look at the cultural revolution during Iemitsu’s reign in Yoshinaga Fumi’s manga 『大奥』 (Ôoku), I’d like to explore the political and cultural changes to the (female) Iemitsu’s Edo through the connection between fashion and political power. There’s a line in Volume 1 that really defines the larger work of Ôoku, where a character notes that the men there kept like goldfish: a luxury item to have simply for the sake of having. For the third and (part of) the fourth volumes of Ôoku, I’d like to shift the focus from the narrative itself to the larger cultural issues presented in the volume. 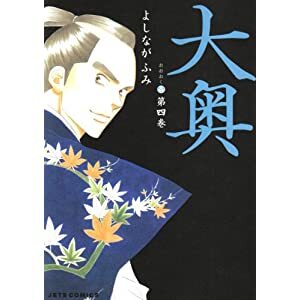 No work of art or literature exists in a vacuum, and the third and fourth volumes of Ôoku address the present issue of “herbivore men” and their counterpart, “carnivore women.” Unlike Otomen, though, the story of Ôoku is not directly about this issue, but there’s no denying the connection between contemporary culture and the work. 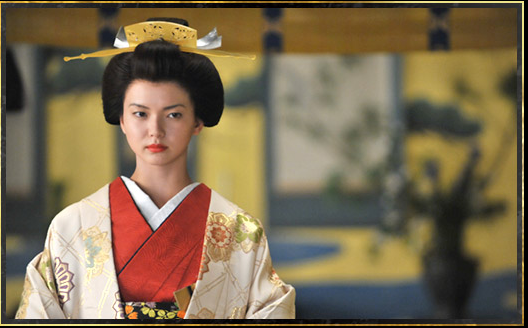 The content of this volume is largely meant to explain the changes in Japanese (alternate history) culture caused by the Red Pox, or how the culture in the world that Yoshinaga created evolved from the Shogunate of Iemitsu to that of Yoshimune. I’d like to address this in multiple parts—first the sexual revolution within the ôoku; next, the changing political and social world; and finally the lasting cultural impact that the revolutions within and without the castle have on the world. The issues addressed here are fairly lengthy, so I’ve divided up Part 1 into subsections. Spoilers are a given; also, one image contains some potentially NSFW cleavage.